Hit the slopes at five of the top-rated ski destinations in the U.S. where the snow conditions are as epic as the lines you want to shred. 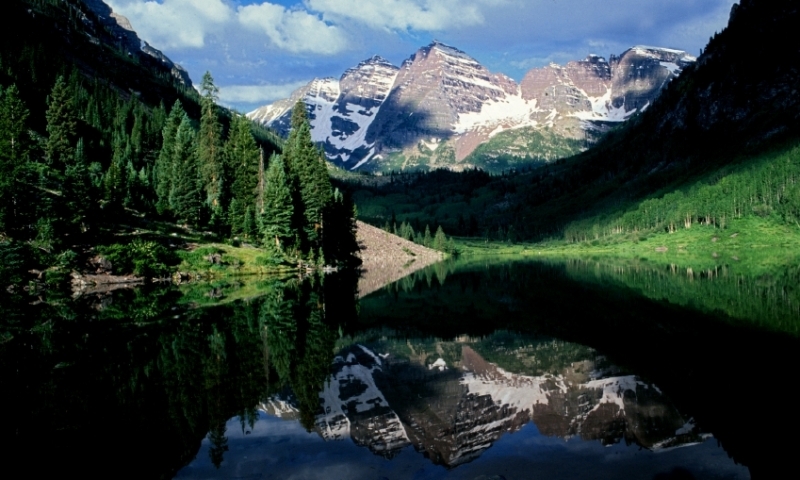 Snag a permit and snap some pix of the Maroon Bells, photogenic mountains sometimes reflected in Maroon Lake. Or choose another area adventure. Soak in mineral-rich waters at Glenwood Hot Springs, make a splash in 93 degree water on a water slide or switch gears for some mini golf. Paddle or angle your way along the Colorado River, where trout fishing can slow down your vacation after breakneck whitewater trips up to Class IV. Explore the high country in the home of the photogenic Maroon Bells, 10 peaks scratching above 14,000 feet and 25 peaks taller than 13,000 feet. Climb to more than 12,000 feet & find an outdoor adventure paradise. Typically open May-October, this road becomes a X-country ski trail in winter. From soaring 14,000-foot peaks to quiet trails to world-class shows, the Aspen area is a vacation paradise for all seasons. While Aspen is a premier ski destination, it has much more to offer any time of the year. An old silver mining town founded in the late 1800s, the city of Aspen is home to world-class restaurants, shops, cultural centers and historic buildings and is surrounded by limitless outdoor recreation, which makes this area popular with visitors from around the world. This 2.3-million-acre national forest, part of which surrounds the city of Aspen, claims it is the top national forest for recreation in the nation. It's easy to see why. Camping, hiking, mountain biking, skiing, snowmobiling, fishing, cross-country skiing, hunting and boating opportunities draw thousands into this mountainous forest each year. Rising to 14,440 feet in central Colorado's Sawatch Range, Mount Elbert is the highest point in Colorado and the second-tallest mountain in the Lower 48 states. Despite its height, it is a relatively easy hike to the summit during the summer months. Capitol is regarded as one of the most difficult and deadliest peaks over 14,000 feet in Colorado. It rises to 14,130 feet from the Maroon Bells Wilderness Area of the Elk Mountains just west of Aspen, and it offers some of the best alpine rock climbing in the range. There is no easy way to the summit, but this impressive mountain is impressive to view from the valley floor, as well. Separating Pitkin and Gunnison counties, McClure Pass, on Highway 133 south of Carbondale is perhaps best known for its large stands of aspen trees, which are often photographed in the fall. Hiking and camping are also popular here. The 82,000-acre Fryingpan Wilderness shelters the headwaters of some of Colorado's best trout fishing streams, including the famed Fryingpan River. The wilderness area is in the White River National Forest east of Aspen. Hiking, backpacking, mountain climbing, fishing, and horseback riding opportunities about. 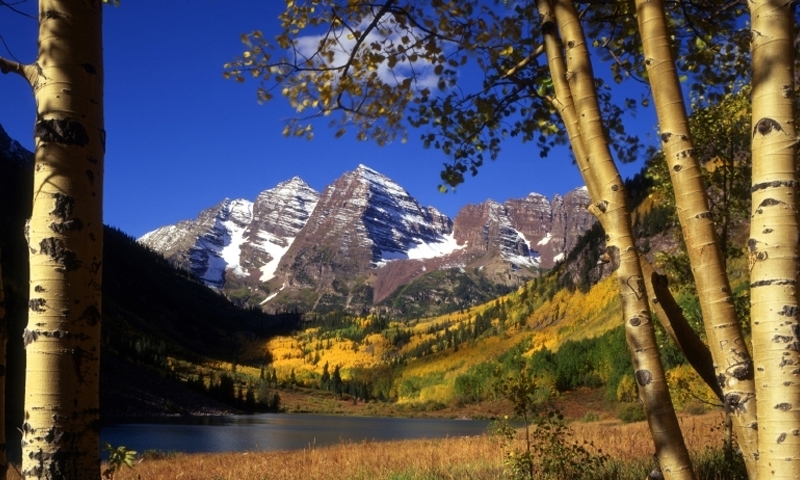 Some claim the Maroon Bells are the most photographed mountains in the world. What's certain is that the 14,00-foot bell-shaped peaks, reflected in the still waters of Maroon Lake prove irresistible to just about anyone with a camera. A $6 shuttle ride, or free bike ride, lands visitors at the lake shore, visitor center and trailheads. Though other nearby peaks are taller, none reigns over the Roaring Fork Valley quite like Mount Sopris. The 12,953-foot mountain dominates the view from Highway 82 in the lower valley, and many people hike the more than 6,000 vertical feet to its summit during the summer. 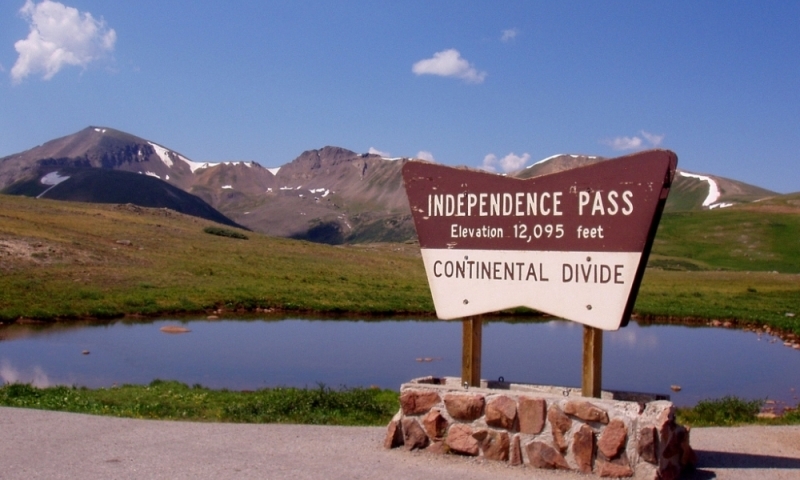 At 12,095 feet, Independence Pass is the highest paved pass in Colorado. The Highway 82 route provides quick access to alpine trails and wilderness areas and a quicker route into and out of Aspen from the east during the summer (the road is closed in the winter months). Eight peaks higher than 14,000 feet rise from the Collegiate Peaks wilderness area, between Aspen, Leadville and Crested Butte, including the state's third and fifth highest. Popular on summer weekends, the 168,000-acre wilderness also draws visitors to mountain lakes and trails of the Sawatch Range. The Sawatch Range contains some of the highest mountains in Colorado – and the lower 48 states. Fifteen peaks rise about 14,000 feet in the range, including the highest in the Rocky Mountains, 14,440-foot Mount Elbert. Many of these mighty peaks are not technically difficult to climb, though the air is thin at 14,000 feet. The Schofield Pass road is considered a very difficult four-wheel-drive road, with falling rocks, avalanche debris, creek fords and other obstacles. The road climbs to over 10,000 feet and passes an old mining town between Marble and Crested Butte. In the summer, the road is popular with hikers and mountain bikers and is well known for its wildflowers. The Roaring Fork River tumbles down from near Independence pass, burbles through Aspen and then plunges into class III and IV rapids, delighting whitewater rafters and fishermen until it empties into the Colorado River in Glenwood Springs. Whitewater rafters and kayakers can challenge such rapids as Slaughterhouse Falls, Toothache and Cemetery between Aspen and Carbondale. The Colorado is one of the major rivers of North America. From its starting point near Rocky Mountain National Park, it travels almost 1,500 miles to the Sea of Cortez in Mexico. Near Aspen and Glenwood Springs it flows through a high-walled canyon with exciting whitewater rapids and trout fishing. 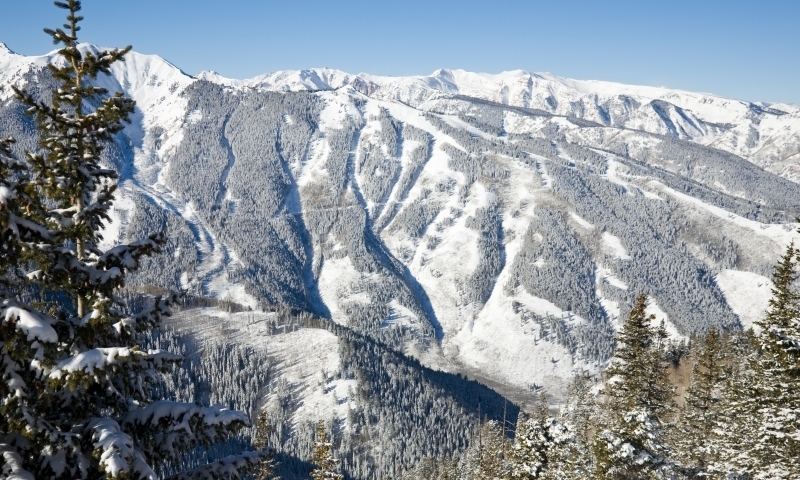 In the winter, Aspen is a skier's dream. The four mountains run by the Aspen Skiing Co. – Aspen Mountain, Aspen Highlands, Snowmass and Buttermilk – are all within a 15-minute drive, or free shuttle ride, of the city, with the chairlifts at Aspen Mountain, aka Ajax, rising up from downtown. 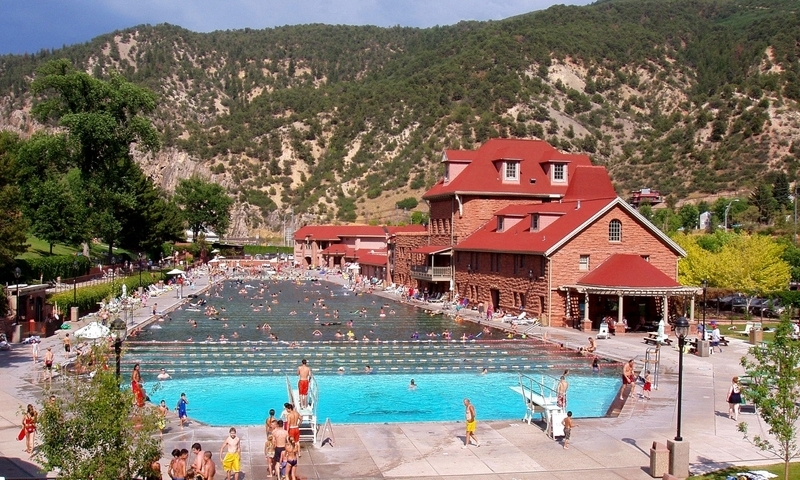 The temperature of the water in the Glenwood Hot Springs pools averages 90 degrees. First used by the Ute Indians as a sacred place of healing, the hot springs now cover an area the size of three bocks, including a therapy pool, kiddie pool and water slides. Wagner Park offers recreational opportunities in the thick of it all in downtown Aspen. Located on busy Mill Street and Durant Avenue, the park has rugby goal posts, soccer nets, a playground and green space for sunning and throwing a frisbee. Many events are also held here. ACES, on the Hallam Lake Nature Preserve is a quiet place to take a nature walk, see wildlife and learn about native plants and animals in the heart of Aspen. 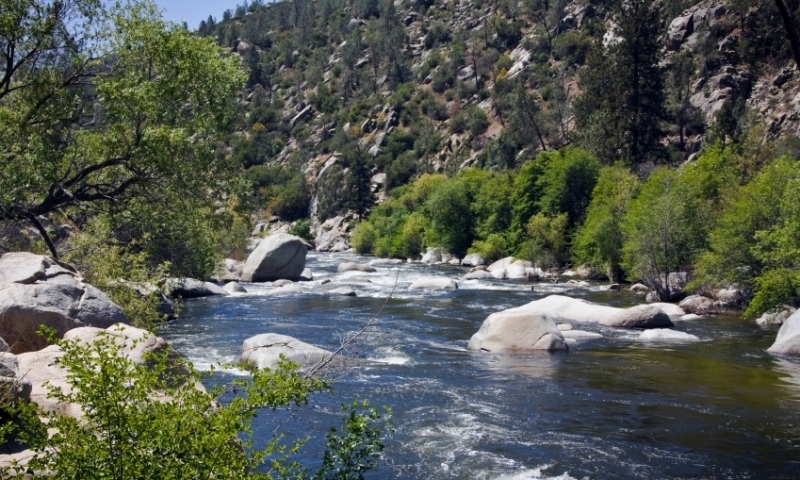 The center is well-known for its children's classes and naturalist-guided recreation. The 1,000-acre Ruedi Reservoir is managed by the federal Bureau of Reclamation and is an excellent site for boating, sailing, fishing and camping about 14 miles east of the town of Basalt. Aspen's trail network – with paved pathways, singletrack trails and dirt roads – is one of the largest in the state. The system ranges from Aspen down valley to Emma and from flat walking paths to technical mountain biking challenges. Originally built by a coal baron, the 42-room 24,000-square-foot Redstone Castle is currently undergoing renovations to become a resort and spa. Tours are now available of this 1900s mansion. The town of Independence sprung up in the 1880s at an elevation of more than 10,900 feet. Harsh winters helped bring about the bust, and in 1899 the remaining miners, starving during a terrible winter storm, dismantled their homes to make skis on which to escape to Aspen. Visitors can learn about the ghost town with self-guided tours. Internationally renowned contemporary artwork graces the walls and halls of the Aspen Art Museum, located just a short walk from downtown Aspen. The museum is housed in a historic brick building along the popular Rio Grande Trail. The Crystal Mill is an oft-photographed 1890s mill is located on a rocky outcropping along the scenic Crystal River outside Marble. The ghost town of Crystal is nearby and is accessible by four-wheel drive vehicle, mountain bike or foot. The Holden/Marolt Museum houses artifacts from the mining and ranching days reaching as far back as the late 1800s. Self-guided or organized tours are available at the site of the 1891 Holden Lixiviation Mill just outside aspen. The Wheeler/Stallard Museum displays items from Aspen's past collected by the Aspen Historical Society in a Queen Anne-style home in the West End neighborhood. Learn about the Ute Indians, mining, ranching and the beginning of the ski industry. Once larger than Aspen, Ashcroft is now a ghost town and a perfect example of the boom-and-bust nature of silver mining towns of the late 1800s. Its colorful history didn't end with the bust, though. Investors once planned to build a European-style ski resort there, and later the Army's famed 10th Mountain Division used the site, in the scenic Castle Creek Valley, for a training ground. The Wheeler is the cultural center of Aspen, hosting more than 300 events a year in the historic 500-seat theater in the downtown area. World-renowned comedy shows, film festivals, operas and music concerts play there on just about any given night. Listed on the National Register of Historic Place, Smuggler was the largest mine in Aspen, once considered the greatest silver mining city in the world. Now, walking tours descend 1,200 feet year-round. The Compromise Mine, delving 2,000 feet into Aspen Mountain, is where the area's mining boom began with the discovery of silver in the late 1800s. Today, visitors can take a tour during July and August to learn about the life of the minors who dreamed of striking it rich here. An old silver mining town founded in the late 1800s, the city of Aspen is home to world-class restaurants, shops, cultural centers and historic buildings and is surrounded by limitless outdoor recreation, which makes this area popular with visitors from around the world.